Attack 1 : Family Renuion. 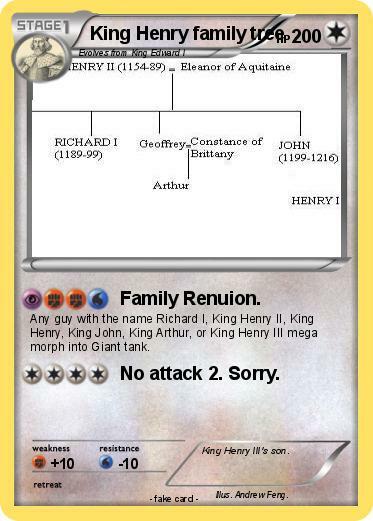 Any guy with the name Richard I, King Henry II, King Henry, King John, King Arthur, or King Henry III mega morph into Giant tank. Attack 2 : No attack 2. Sorry. Comments : King Henry III's son.